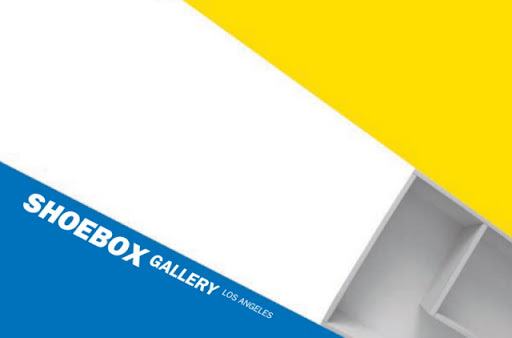 ShoeboxLA is pleased to present Timothy Nolan’s Drift. For nearly two decades Nolan has explored illusions of three-dimensional space through the use of pattern, line and shape in two dimensional wall work and floor installations. While Minimalism and Cubism have influenced Nolan’s work, he also draws inspiration from lesser-known movements such as Pattern and Decoration and Op Art, addressing shifting perception of two and three dimensions; plastic space vs. real dimensionality. For his ShoeboxLA project, he will further this investigation in a work that falls somewhere between object, installation and drawing. Take the Metro Red and Goldline! Redline to Union Station, walk over or hop on the Goldline, one stop to Chinatown...Walk west on College, 2 blocks to Hill St., make a left and the Studio is between College & Alpine in the Best Western courtyard.